MACAULEY BONNE, the toast of the Young Warriors after scoring on his debut in Morocco on Sunday, has spoken of his honour, in representing his country, and says he can barely wait for more assignments for his fatherland on the international scene. The teenage footballer, who turned 19 last month, was born in England, to Zimbabwean parents, but chose to pursue an international career with the Warriors. He was one of the three England-based players who were thrown into the fray, by coach Callisto Pasuwa, who continues to cast his net wide, as he tries to build a competitive Young Warriors side, which ZIFA believe will also lay the platform for a strong Warriors team. Munya Mbanje, who plays for the Leeds Academy, and Northampton’s David Moyo featured for the Young Warriors in that match in Agadir. The new recruits from England also experienced the darker side of playing for the Young Warriors as there were no allowances for the team, during their stay in camp, something others would take for granted at this level of the game. At least, they didn’t see the drama at Dubai International Airport, where the Young Warriors spent eight hours in transit during their flight to Morocco, where team manager Patrick Mutesva had to dip into his pockets to provide dinner and breakfast for the team. The three players from England flew straight from their base into Morocco. They also flew back to their bases straight from Morocco. Their teammates, who arrived back home yesterday, needed the helping hand of a Zimbabwean, who works for Emirates, the Dubai-based airline, to help them buy their meals and drinks during their time in transit, in Dubai, on their way back. The Young Warriors, who flew into Harare yesterday, were each given $150. Bonne, who is on the books of Colchester United, who play in the English League One, the third-tier of English league football, was promoted into the first team after a starring role, in which he scored 46 goals in 54 appearances for the club’s Under-18 team last season. He also shot to prominence, in England, after scoring 10 goals in two FA Youth Cup matches for the Colchester United youth side last season. Bonne, who played as a twin anchorman with CAPS United’s Charles Mukanhairi, in the international friendly against a very strong Morocco team, which had hammered six goals past Benin in a friendly international a few days earlier, was one of the Young Warriors’ standout players. He stole the limelight, from his England-based national teammates, by scoring a beauty of a goal, which gave Zimbabwe the lead, in a match that the Young Warriors eventually lost 1-2 as the Atlas Lions rallied strongly after the break. “I am grateful for the chance presented to me to play for my country and I look forward to more call-ups,” Bonne told The Herald. “I am happy with having scored on my debut. I just said to myself I will keep on pushing upfront and, when an opportunity presents itself, I will shoot at goal. He said he enjoyed the company of the youthful Zimbabwe team in his first dance with his teammates. .
“Naturally, I was jittery at first but I realised we were just as competent as they were, credit to the guys for the brave fight,” said Bonne. The Colchester United player was praised, by his coach Pasuwa, for his good work rate. The English club, affectionately known as the Us, were also delighted that one of their players scored on his international debut for the Warriors. 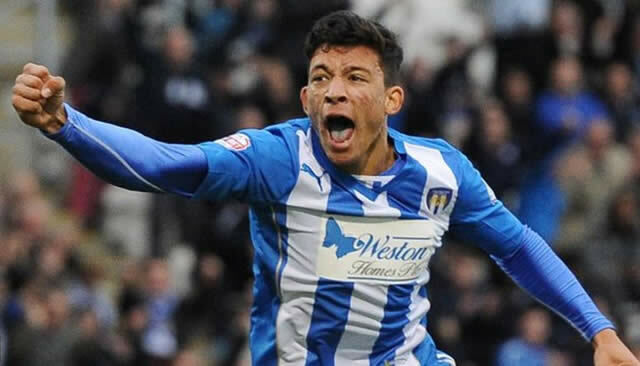 “U’s striker Macauley Bonne had an experience to remember as he scored on his international debut for Zimbabwe,” Colchester United said on their official website. “The Zimbabweans named an U-23s side to face Morocco’s full-team, as the two nations prepare for upcoming international and continental tournaments. “Macauley played the full ninety minutes and capped that display with a goal after 19 minutes. “He had already gone close on 12 minutes, picking the ball up and driving towards goal, forcing the Moroccan ‘keeper into a good save low at his near post. “Six minutes later, he grabbed the goal to put the visitors in front. Anticipating a miscued header from the defender, he took the ball down and calmly drilled through the legs of the keeper to make it 1-0. “Playing at their home State Adrar stadium in Agadir, Morocco were to go on to have most of the pressure and they forced the Zimbabwean goalkeeper into a fine full length save with an acrobatic overhead kick on 30 minutes. “Zimbabwe took their lead into the interval, but (Morocco) levelled on 64 minutes. Colchester United noted that Bonne had another chance to score for the Warriors towards the end of the game. “Zimbabwe were not finished just yet though, and with three minutes to go, U’s man Macauley smacked in a shot that fizzed past the upright,” the club said on their website. The Young Warriors are using a series of matches to build a team for the African Under-23 Championships, All-Africa Games and 2016 Olympics. ZIFA dissolved the senior national team following a disastrous 2015 Nations Cup qualifying campaign. Moyo, the Northampton forward, was happy with having a run with the Young Warriors, too. “It was a new experience for me and playing a different game altogether,” Moyo said. “The guys were great, they made us feel at home, I hope with more time, at training together, we can get better, we can get better. He played as a lone striker and soon ran out of steam as the Zimbabweans threw more men in defence. Mbanje did not show much of his potential despite being dubbed the next Joel Shambo. Goalkeeper Donovan Bernard of How Mine had a dream game with a number of brilliant saves for his team. Douglas Sibanda, a Highlanders player on loan to Shabanie, and Bantu Rovers’ Teenage Hadebe played the game of their lives in central defence.